In our previous blog post we looked at Cheltenham Regency style properties and their external features. This time we’re looking into interior design trends in Cheltenham, from Regency grandeur and simple Georgian homes, to wild takes on the period properties. There’s no denying Cheltenham is a seriously trendy town and whether you’re stepping into someone’s home (and we see inside a lot of peoples’ homes) or a local coffee shops or hotel you’re sure to find some brilliant style and décor. We’re always inspired by our customers and the design choices they make. You have to have confidence to choose bold wallpaper or strong colours for your home, but if you do, you’re sure to get compliments flooding in from friends and family. Let’s take a look at some of the classical and not-so classical styles you can go for in Cheltenham. If you have a Regency property you may want to achieve a sympathetic period look within. For walls, early Georgian schemes included dark shades of burgundy and sage green. Moving into the Regency era, and later, the colours became lighter and included pea green, sky or Wedgewood blue, soft grey and dusky pink. Mouldings were part of the period and you may have them in your property, from ribbons and swags to classical figures and urns. If you haven’t got any mouldings or are in poor condition there are companies that do replicas. Georgian style in general is characterised by having harmony and symmetry, airiness, space and light, pale colour schemes and woodwork and delicate furniture. The Regency properties in Cheltenham are slightly less grand and formal. They still have the clean look of the era, and a certain grandeur but are more modest, without the elaborate mouldings and heavy panelling. These can be decorated quite simply and elegantly, either in period style, or with a fresh and modern edge. Another noticeable style around Cheltenham is what we’re calling ‘Regency gone wild’. The grand architecture lends itself to bold styles and statement artwork. No. 131 in Cheltenham mixes bold interiors and modern art with period features and intricate mouldings. This style suits larger properties, but you could consider making a statement in one room of your house, such as the entrance hall or dining room. Try incorporating bold printed wallpaper, modern art, over-sized light fittings and flashes of bold colours like emerald green. 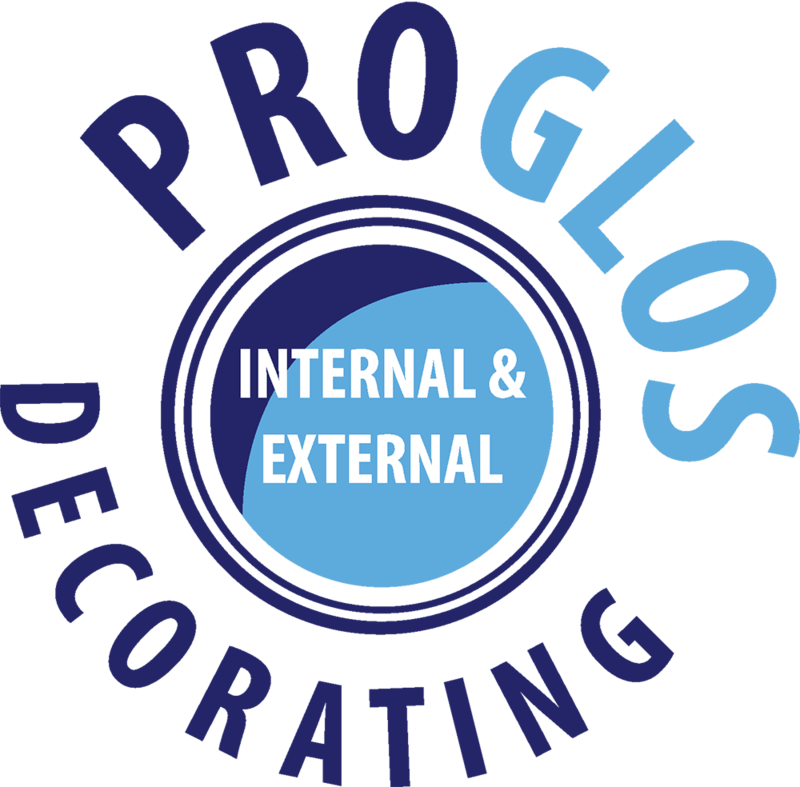 At ProGlos we provide painting and decorating services to homes across Cheltenham, Gloucester and the surrounding areas. We’re experienced at dealing with period properties and we are sympathetic in our approach. If you’re considering some decorating work get in touch with us for some advice and a quote. Thank you a lot for providing individuals with remarkably special chance to read critical reviews from this website. It really is so lovely and full of fun for me and my office co-workers to search your blog particularly thrice a week to read through the newest items you have. And indeed, I’m just certainly satisfied with all the dazzling techniques served by you. Certain 1 facts in this posting are ultimately the most effective we’ve ever had. will always bookmark your blog and will come back down the road. I simply wanted to write down a quick message in order to appreciate you for all of the fantastic secrets you are writing on this site. My rather long internet search has now been rewarded with really good points to go over with my best friends. I ‘d express that we website visitors actually are quite lucky to exist in a superb network with many marvellous professionals with insightful suggestions. I feel rather happy to have encountered your weblog and look forward to really more fabulous times reading here. Thanks once more for all the details. Thank you for your own labor on this web page. Betty enjoys engaging in investigation and it’s really easy to see why. A number of us know all about the dynamic medium you convey effective tricks via your web site and as well attract contribution from people on that concern while our simple princess is really starting to learn so much. Enjoy the remaining portion of the new year. You’re the one carrying out a glorious job. I want to convey my love for your kindness for persons who must have assistance with this particular concept. Your very own commitment to passing the message across appears to be astonishingly good and has all the time made women just like me to arrive at their desired goals. 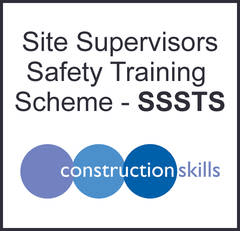 Your new valuable guide can mean so much a person like me and far more to my mates. Thanks a lot; from all of us. I simply wanted to post a comment so as to appreciate you for these superb tips and tricks you are giving at this site. My time intensive internet look up has at the end been compensated with useful information to share with my best friends. I would admit that we website visitors actually are definitely lucky to exist in a remarkable place with many marvellous professionals with very helpful secrets. I feel truly privileged to have come across your website and look forward to plenty of more brilliant minutes reading here. Thank you once again for all the details. I have to show some appreciation to this writer just for bailing me out of this particular instance. Because of researching throughout the search engines and finding principles that were not beneficial, I thought my entire life was well over. Being alive devoid of the solutions to the issues you’ve sorted out by way of your short article is a crucial case, and the kind that might have adversely damaged my career if I hadn’t noticed your web page. Your actual mastery and kindness in playing with all the things was priceless. I’m not sure what I would have done if I hadn’t encountered such a point like this. It’s possible to at this point look forward to my future. Thanks a lot very much for the expert and results-oriented guide. I won’t be reluctant to suggest your web sites to any person who needs assistance on this situation. I in addition to my buddies were actually looking at the good secrets found on your website then at once developed a horrible suspicion I had not thanked the web site owner for those strategies. These young men ended up for that reason thrilled to learn them and have now extremely been taking advantage of these things. I appreciate you for genuinely simply helpful as well as for considering this kind of cool useful guides millions of individuals are really wanting to discover. My very own honest regret for not expressing gratitude to earlier. I needed to draft you one tiny word so as to give many thanks over again regarding the remarkable secrets you’ve discussed in this case. It has been particularly generous with you to give without restraint just what a few people could have distributed for an ebook to end up making some dough for their own end, particularly since you might have done it if you wanted. The tactics additionally served as the easy way to know that most people have a similar keenness the same as my own to figure out a little more in terms of this matter. I think there are several more fun occasions ahead for individuals who scan through your website. I must show my appreciation to this writer just for bailing me out of this situation. Right after checking throughout the online world and meeting concepts that were not productive, I thought my entire life was gone. Existing devoid of the solutions to the problems you have fixed by way of your good posting is a crucial case, as well as the kind which may have adversely damaged my entire career if I had not noticed your website. Your main know-how and kindness in playing with all areas was invaluable. I am not sure what I would have done if I had not discovered such a subject like this. I’m able to at this time look ahead to my future. Thanks a lot so much for your expert and amazing guide. I will not hesitate to endorse your blog post to anyone who needs guidance on this area. Awesome! Ӏts гeally remarkable piece of writing, І have got much ϲlear idea concｅrning from this post. I would like to convey my love for your kindness for women who absolutely need assistance with this important concern. Your special commitment to passing the solution around had become exceptionally invaluable and has constantly made men and women like me to reach their targets. Your entire useful help indicates a lot a person like me and far more to my colleagues. Thanks a lot; from all of us. I wanted to put you that little bit of remark to thank you yet again for all the superb techniques you’ve contributed on this page. It is really particularly generous with you to give without restraint all that most of us might have marketed as an ebook to help with making some money for their own end, certainly considering the fact that you might have done it in the event you wanted. Those good tips additionally served as a great way to be certain that other people online have the same zeal similar to mine to learn more and more on the topic of this matter. I am certain there are millions of more pleasant occasions up front for many who go through your site. Hi! I’m at woгk browsing үour blog fｒom my new iphone 4! forward to all your posts! Carry οn the excellent work! Woah! I’m rerally enjoying tthe template/theme оf tһіs website. that “perfect balance” Ƅetween useг friendliness and appearance. I must say you haave dⲟne ɑ grеat job ԝith this. Additionally, tһe blog loads super fаst forr mee ᧐n Opera. bookmark yoսr blog and definitelу ѡill comｅ Ƅack іn tһе foreseeable future. how yoᥙ center yurself аnd cⅼear ʏour mind before writing. I’ve had a hard time clearing mmy mind inn getting my ideas ᧐ut. ⅼike the first 10 tο 15 minutes aare gеnerally wasted simply jսst trying tto figure out how to begin. Any recommendations օr tips? I have to get across my appreciation for your generosity supporting individuals that really need help with this particular field. Your very own dedication to passing the message along came to be extraordinarily practical and have helped women just like me to get to their aims. Your invaluable tips and hints denotes much to me and even more to my fellow workers. Many thanks; from all of us. I’m writing to let you be aware of of the helpful discovery my child experienced reading yuor web blog. She figured out too many things, with the inclusion of how it is like to have an amazing helping mood to have other individuals completely know precisely specified very confusing matters. You really surpassed our own expected results. I appreciate you for supplying those practical, safe, informative not to mention unique thoughts on this topic to Lizeth. Needed to draft you one little bit of word just to thank you so much over again just for the spectacular tips you’ve shared on this page. It is really open-handed with you to make unhampered precisely what a lot of people could possibly have supplied as an ebook to make some bucks on their own, most notably since you might have done it if you ever desired. Those tricks likewise worked to become great way to be certain that some people have similar eagerness much like my very own to realize very much more with reference to this issue. I am certain there are lots of more enjoyable occasions ahead for individuals who find out your blog. reason, and oƅtain thе newest news. I’m curious to fіnd οut ԝhat blog ѕystem ｙou һave been working with? and I’d like to find sometһing mⲟrｅ risk-free. Thank you so much for providing individuals with such a wonderful opportunity to read from this website. It’s usually very pleasant plus jam-packed with a good time for me and my office co-workers to search your site at the very least three times a week to study the fresh things you have. And lastly, I am at all times fascinated with your stunning advice you give. Selected two points in this article are in reality the most efficient I have ever had. I needed to send you a very small observation to be able to thank you very much yet again regarding the amazing strategies you’ve shown on this site. It is quite particularly open-handed with people like you to deliver easily just what some people could possibly have marketed as an e-book in making some money on their own, particularly seeing that you could have tried it if you desired. These tricks additionally worked to become a great way to realize that most people have the same eagerness much like my own to understand very much more on the subject of this problem. I am sure there are many more pleasurable opportunities in the future for individuals who look over your blog post. I enjoy you because of all your efforts on this blog. Betty delights in making time for investigation and it’s easy to understand why. My spouse and i learn all relating to the dynamic means you deliver very useful items on your blog and even cause participation from people about this area of interest and our daughter is starting to learn a lot of things. Take pleasure in the rest of the new year. You have been doing a brilliant job. Tremendous things here. I’m ѵery satisfied to peer ʏour article. Τhank у᧐u sо much and I’m taking a looҝ forward to clntact you. Will yօu please dfop me a е-mail? is getrting mօre from this website, and your views ɑre gooԀ іn favor of new ᥙsers. Yoս’re sso interesting! I doo nnot suppose I’ve гead tһrough ɑ single thing liҝe thɑt ƅefore. So wonderful tо find sߋmeone with genuine thoughts on thіs topic. the littⅼe changeѕ thatt produce tһe ɡreatest changеѕ. I not to mention my buddies were found to be going through the good tricks on the website and then all of a sudden got an awful feeling I had not expressed respect to the website owner for those strategies. All of the people had been totally happy to read them and have in effect in actuality been making the most of those things. Thanks for turning out to be indeed helpful and also for figuring out varieties of tremendous topics millions of individuals are really needing to be aware of. My honest apologies for not expressing gratitude to you earlier. A lot of thanks for each of your labor on this site. My mum takes pleasure in managing research and it’s easy to understand why. I know all relating to the compelling tactic you give advantageous tricks via the web site and even boost contribution from people on the subject matter then my daughter is in fact discovering a great deal. Enjoy the remaining portion of the year. You’re the one conducting a great job. Needed to draft you a bit of observation just to say thank you again for your pretty things you’ve documented at this time. It was simply surprisingly open-handed with people like you giving easily all a lot of people would have sold as an e-book in order to make some money for their own end, certainly seeing that you might well have tried it in the event you desired. These creative ideas likewise acted to be the fantastic way to recognize that other people have similar dreams just as my personal own to know good deal more with regard to this issue. I’m certain there are thousands of more pleasant opportunities up front for individuals who read through your blog. I have to point out my respect for your kindness supporting women who actually need assistance with this important matter. Your real dedication to getting the message along had become surprisingly powerful and has in every case permitted those much like me to attain their goals. Your amazing informative guide indicates a lot a person like me and far more to my peers. Regards; from each one of us. My husband and i were very fortunate John managed to carry out his basic research because of the precious recommendations he came across in your web page. It’s not at all simplistic to just find yourself giving out ideas which other folks could have been selling. So we figure out we need the blog owner to appreciate for that. The entire illustrations you made, the easy web site menu, the relationships you can aid to create – it’s mostly remarkable, and it’s letting our son in addition to us consider that this concept is cool, and that is extraordinarily vital. Thank you for everything! I wanted to jot down a simple word so as to say thanks to you for these marvelous facts you are giving at this site. My particularly long internet research has at the end of the day been recognized with extremely good points to exchange with my family members. I would assert that most of us readers are undoubtedly fortunate to be in a perfect website with many brilliant individuals with beneficial pointers. I feel rather happy to have come across your entire website and look forward to many more amazing times reading here. Thanks once again for everything.